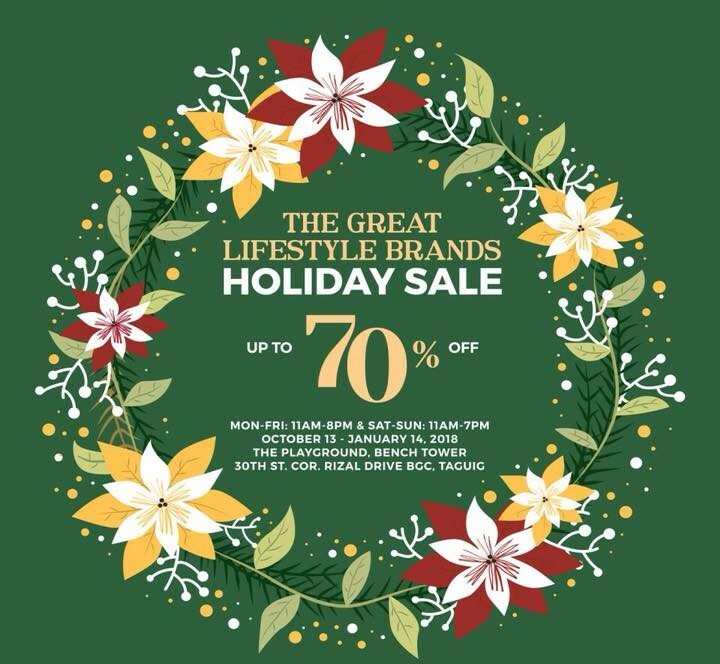 ‘Tis the season to be jolly 🎄 The Great Lifestyle Brands Holiday Sale is back, and runs until January 14, 2018! 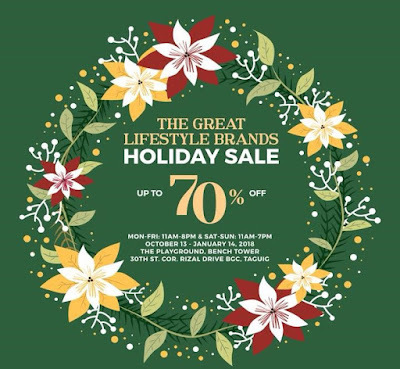 Get up to 70% off on your favorite brands like BENCH/, Cotton On, Human, Vero Moda, American Eagle Outfitters, Cath Kidston, and many more. 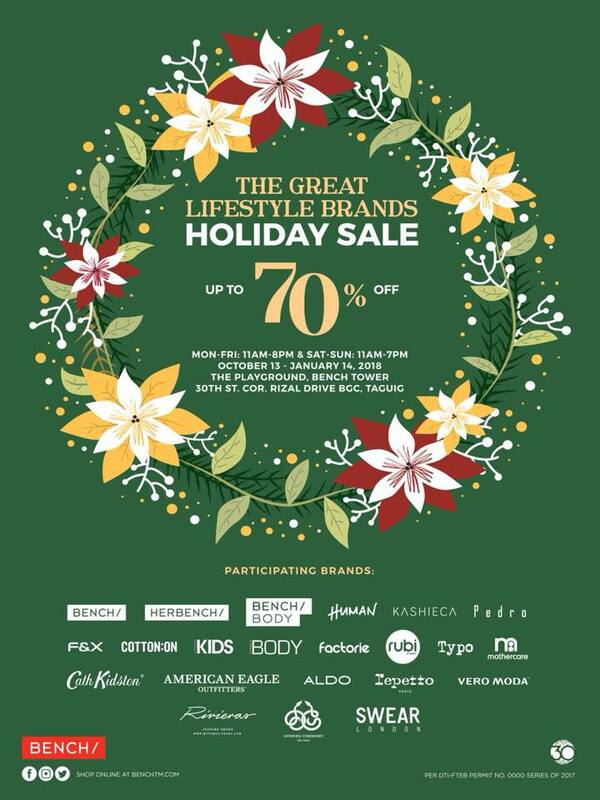 Participating brands: BENCH/, HERBENCH/, Human, Kashieca, Pedro, F&X, Cotton On, Factorie, Rubi, Typo, Cath Kidston, Aldo, American Eagle Outfitters, Vero Moda, mothercare, and more!